What will I see when I send an email? When you select a Template, below is an example of what that might look like, depending on how your TouchPoint Admin has created the template. 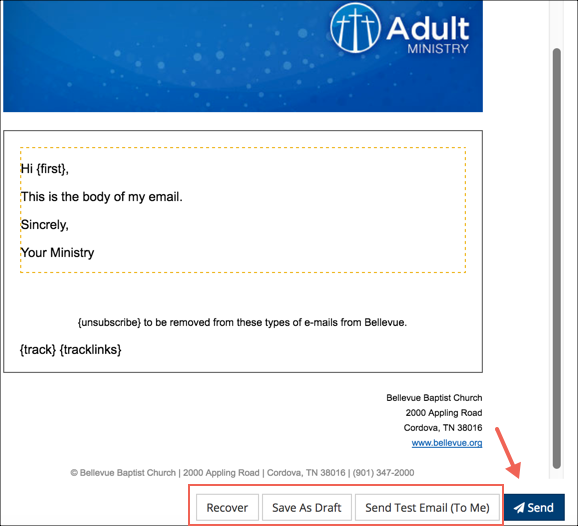 Notice where you click to enter the text for the body of your email. 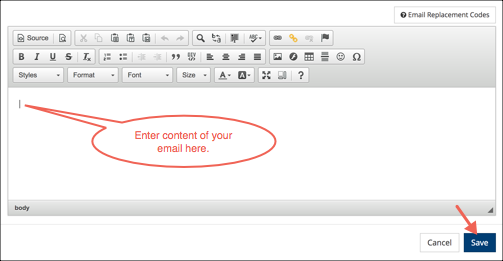 Click in the box where it indicates ‘Click here to edit content’ to open the dialog box for composing your message. 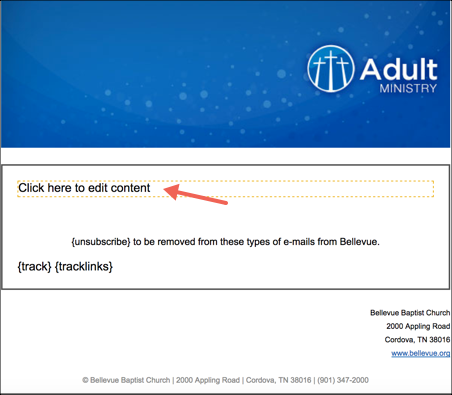 Click Save after you have entered the body of the email. Do not forget to enter the Subject. If you fail to do so, you will receive a prompt. Then you will be ready to send the email. The Send button is, by design, at the bottom of your email. That is so you will have to scroll to the end before sending. This might keep you from forgetting about a section of your email, especially if you are using a newsletter-style Template. You also have the options to Save As Draft or Send Test Email (to me) , and, if you have experienced an internet failure, you can click Recover to have your previous text restored.